Hi friends! 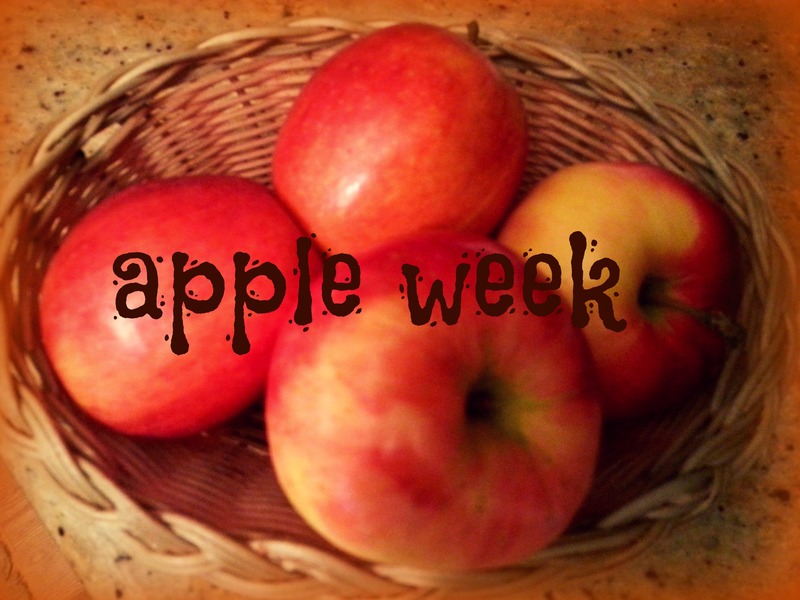 Apple Week continues today with a recipe for apple pie bites, adapted from one I came across at The Washington Post online. Unfortunately I don’t have a picture of these babies … you’ll just have to trust me on this. They’re: 1) delicious; 2) easy to make; and 3) gluten-free! In other words, these apple pie bites are the bomb dot com. 1. Preheat oven to 375 degrees. Lightly grease a mini muffin pan and set it aside. 2. In a medium bowl, whisk together the flour, almond meal and cinnamon. Add the maple syrup, applesauce and water; stir to form a soft dough. 3. Divide the dough evenly among the wells of the mini-muffin pan. Use your fingers to press down the dough so that it lines the bottom and sides of each well. 4. Now make the filling: stir together the apple, applesauce, vanilla extract, maple syrup and cinnamon in a separate bowl. Divide evenly among the dough-lined muffin pan wells, pressing down the filling so it is firmly packed. 5. Bake for 15 to 18 minutes; the edges of the tarts will be lightly browned and the filling will have settled a bit. Cool in the pan for 5 minutes, then use a fork to gently dislodge and transfer each tart to a wire rack to cool. These are the perfect light dessert or portable snack! Happy baking! these sound delicious! will have to try ’em soon. I’d like to know the size pan (mini, but how many holes…12or 24?). Also, the amount of flours called for really made a gooey dough which was not pressable into the cups, so I added more. In the oven now, we’ll see how it goes! I used the 24 size. My batter was a little sticky as well, but they turned out great for me. I hope yours ended up wonderfully! Thanks for trying out the recipe! Thank you for your reply. They are all gone! Enjoyed by company that dropped by and loved by all! I’ll make them again and again. My gluten-free friend was very impressed and I have given her your recipe.